We are surprised to see a simple, white, painted building. 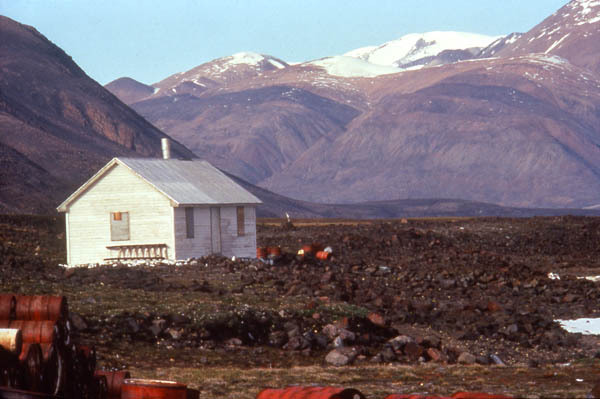 It is an abandoned Royal Canadian Mounted Police outpost which is locked. With the help of a screwdriver we enter the sacred place, the police station. This structure offers us more room than our tents and better protection from mosquitoes.